Michael Mason | AKLeg Sep 12, 2018. 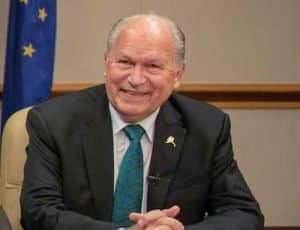 Anchorage – Tuesday, Alaska Governor Bill Walker signed House Bill 235 into law creating a new honor to show the appreciation of Alaskans for peace officers and first responders injured or killed while exhibiting great courage and valor in service of their fellow Alaskans. The new “North Star Medal” is reserved for firefighters, police officers, corrections officers, first responders, peace officers, and search and rescue volunteers who show extraordinary bravery every day in keeping Alaskans safe. Recipients of the new North Star Medal will be nominated from first responder agencies and organizations across the state and the winners chosen by the Governor. Recipients are to be honored during an annual ceremony. 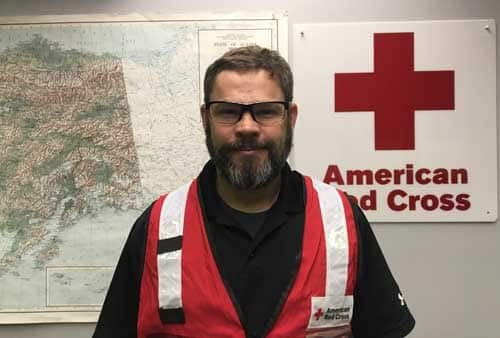 The new North Star Medal is intended to be similar to the Alaska Medal for Heroism, which was created by the Alaska Legislature in 1965 to recognize the heroic act of saving a life. While the Alaska Medal for Heroism can be given to any individual, the new North Star Medal is reserved for peace officers and first responders who are seriously injured or killed in the line of duty while displaying exceptional bravery or heroism. House Bill 235 unanimously passed the Alaska House of Representatives in May of last year, and the Alaska State Senate unanimously passed the bill in May of this year. Alaska Governor Bill Walker signed HB 235 into law Tuesday during a ceremony at the Anchorage Fire Department’s Station 1 in downtown Anchorage.